When it comes to advanced technology that’s here to make life easier, planet earth is already on it. Only a year ago, research found that the average UK household owns 8.3 digital devices – with technological consumption only set to skyrocket as brands bring out bigger and better electronics to save you time and keep you awe-inspired. 10 years on from the release of the first Smartphone too, Ofcom have released their Communications Market Report, pinpointing the UK’s digital habits with some hard-hitting findings: Britons spend an average of 24 hours a week online and we check our mobile phone every 12 minutes. And that’s just the tip of the iceberg. As digital products become more accessible and advanced, the places where we are starting to use them are now becoming a cause for concern. That one place? Out on the roads and specifically, in cars. The law is trying to keep up with just how quickly digital products are advancing – and it’s doing a good job of it too – but that also means that drivers need to be aware of the digital device laws that could see them slapped with driving penalties and even potential jail time, if they’re not careful. It also states that you must have hands-free access, such as a Bluetooth headset or voice command, if you wish to use your phone in the car to call someone. Any physical touching of the phone whilst driving is a complete no-no – that means pressing buttons to end calls or even using loudspeaker where you will need to touch the device in any circumstance. This also includes adjusting your GPS on your smartphone for sat nav purposes or watching anything on a tablet. Remember, it’s not just about the physical contact of the device that’s illegal – it’s the way in which it distracts your attention. If a policeman deems you to be not in full control of your vehicle because you are distracted, you can be prosecuted. According to Think! Road Safety, you are four times more likely to be in a crash if you use your phone, and your reaction times are two times slower if you text and drive than if you drink drive – with this even increasing to three times if you use a handheld phone. Since the penalty of driving while on a handheld mobile phone was doubled, the number of motorists caught illegally has almost halved – from 39,000 fixed penalty notices Fixed Penalty Notices, compared with 74,000. Since March 1 2017, motorists caught using a handheld/mobile phone have faced receiving six points on their licence and a £200 fine. This was doubled from the previous year when the penalty was three points and £100. Drivers can lose their licence if they receive 12 points within three years, or six points in the first two years after passing their test. Of course, the penalties are just one of the consequences – by using a mobile phone whilst driving you’re at risk of causing serious harm to either yourself or someone else in a road traffic accident. It just isn’t worth it. Many drivers think that when they’re stationary – at traffic lights or in any traffic queue – they’re able to use their mobile phones. WRONG. If your engine is running, your phone should be nowhere near your hands, just as if you were moving. It is only when your car is safely parked with its engine off, or if you need to call 999 or 112 in an emergency and it’s unsafe or impractical to stop, that you can use your mobile phones in the driver’s seat. 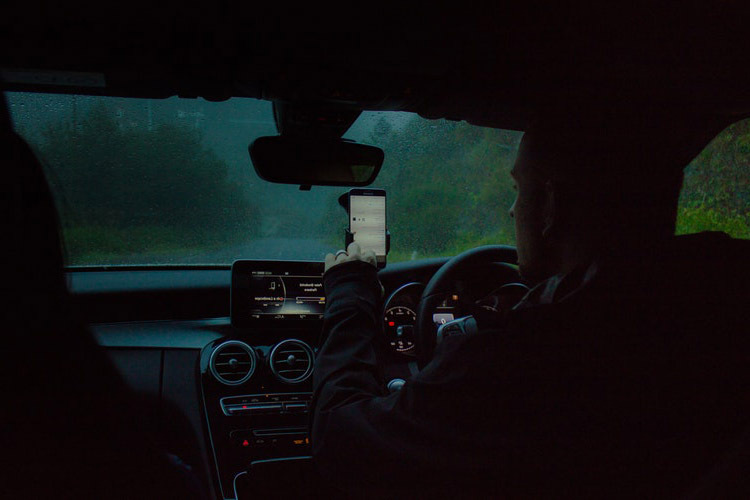 Even if you’re just touching the GPS on your smartphone for sat nav purposes and – much to many drivers horror – using Apple & Google Pay apps on your phone at drive-thru’s – the law still stands; you can’t touch that phone while the engine is running. According to the RAC, a shocking 61% of motorists still text at the wheel of a stationary car with the engine running, despite it being illegal since 2003 for drivers to use a hand-held mobile phone. More than half of motorists (53%) report regularly seeing other people texting in stationary traffic during half or some of their journeys, while 29% claim to see this during most journeys. A £200 fine if you use a hand-held phone when driving. Losing your licence if you passed your driving test in the last 2 years. 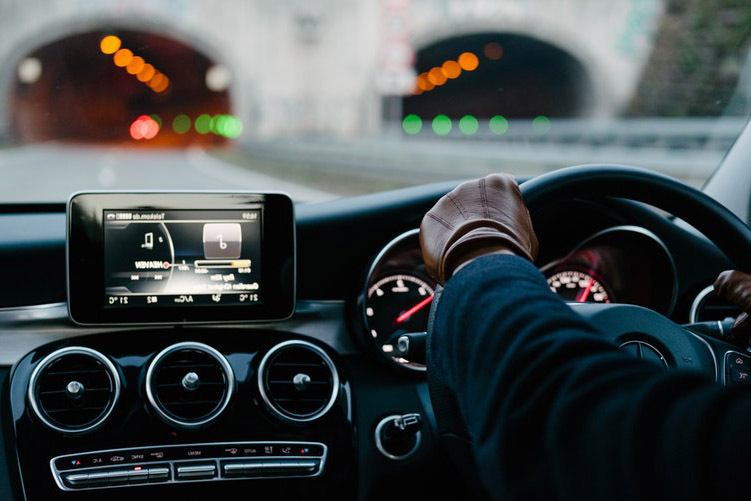 Satellite navigation, now known as ‘sat-navs’, are used widely in modern-day driving (they’re even used in 4 out of 5 practical driving tests now too). They can allow drivers to plan their journey routes in good time, limit driving hesitation and create a less-stressful experience when used safely. The device must also not block your view of the road and traffic ahead. That’s where The Highway Code states: “windscreens and windows MUST be kept clean and free from obstructions to vision” – which means that sat-navs must not be placed on your windscreen as a result. If it is deemed that your sat-nav position means you are not in full control of your vehicle, you can risk prosecution. You can use your mobile phone as a sat-nav still – as long as you programme it before you start the car and set off, and it’s in a holder out of the 45-degree angle of the driver’s view. Remember, you can’t re-programme or touch it while in motion, just like with any other digital device. Greater Manchester Police confirmed the ONLY legal position to place your sat-nav is at the bottom right hand of your windscreen. 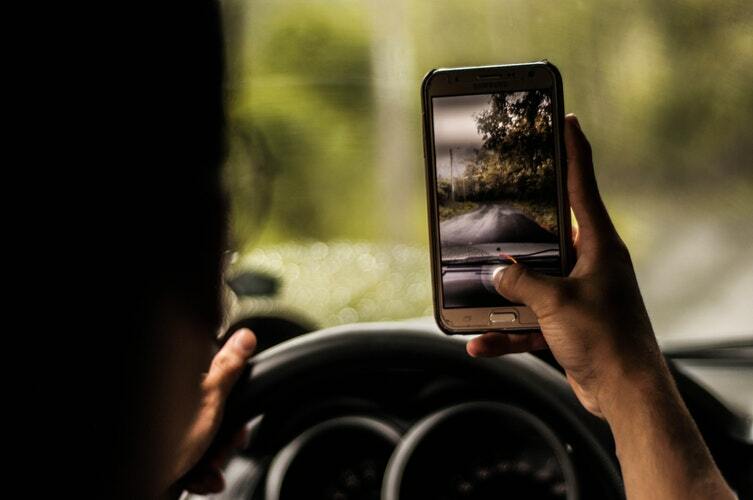 In a study by road safety charity IAM Road Smart and Auto Express where a driver carried out a number of common distracting actions whilst driving – the most distracting task was actually found to be entering a postcode into a Sat Nav. According to research done by Uswitch.com, 78% of drivers are reliant on their Sat Nav and smartphones for directions and to advise them on the speed limit, while 16% keep their phone or Sat Nav behind the steering wheel, on the passenger seat or near the gear stick – all positions that are actually illegal. We know that sometimes the car radio doesn’t always pack that much of a punch when it comes to acoustics, but could using headphones while driving land you more than you bargained for? While there is no definitive law that states it is illegal to drive while wearing headphones, you could still be penalised if you’re wearing them and you’re deemed to not be in control of your car because of it. 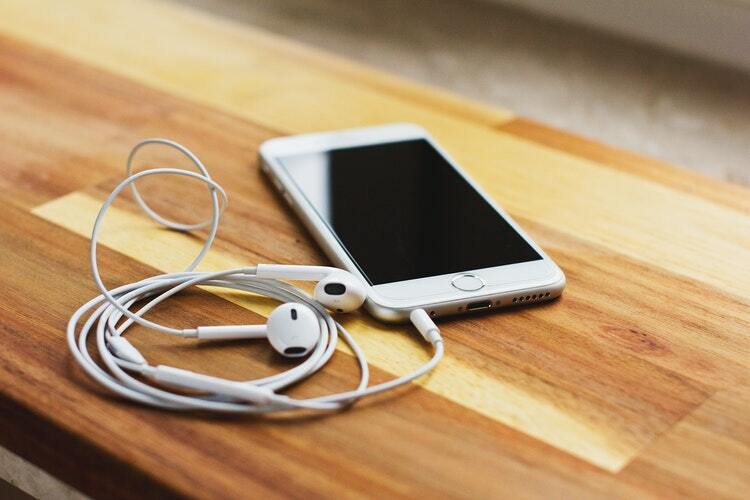 By listening to loud music in both ears through headphones, you could become distracted from using all of your senses when needing to react to certain hazards – for example, an emergency service vehicle with their sirens on or car horns from other road users to alert you to a danger. 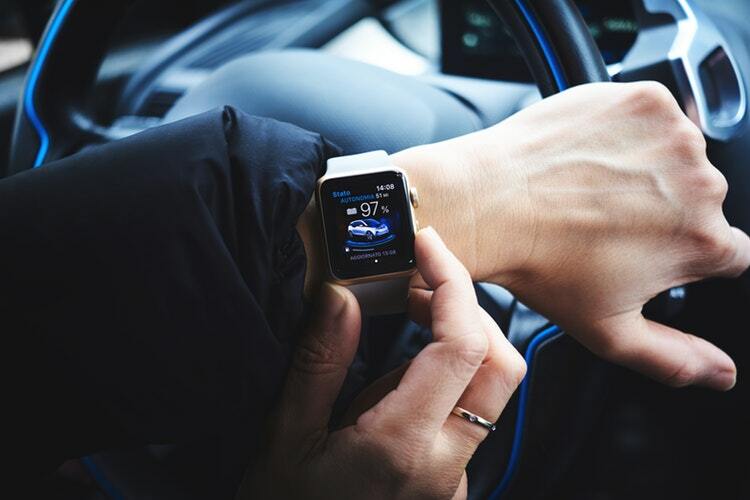 Though many drivers seem to understand the dangers of driving with a mobile phone, many may not be aware that the strict laws on driving with digital devices also includes wearable technology – like Apple smartwatches. In the same way that it is illegal to drive while using a mobile phone, wearable technology can distract you from the road and potentially cause serious road traffic accidents – which is why you will also be penalised if it causes you to lose control of your car. According to a spokesperson from the Department for Transport If you find yourself in a road traffic accident and records show you were texting from your digital watch – you’ve given police enough material to be able to charge you (this also goes for mobile phone records too). As it stands, use of of wearable technology while driving can result in the same penalties as using a mobile phone whilst driving – six points on your licence and a £200 fine. Technology is only useful when it doesn’t interfere with our safety. Where ABS systems in your car could save your life, the mobile phone on your dashboard can risk it. Technology can distract – it’s being alert to the dangers that they pose that can mean the difference between life and death. Transport Secretary Chris Grayling says increasing fixed penalties will be a “strong deterrent” for drivers to shun the digital device until they step out of the car, and as long as the law keeps up with the ever-expanding world of technology, you’ll have to keep your eyes open for more and more new laws to come.